i82much: Why Did She Run? Grandma C asked me to stop the car, as she wanted to check out the white wildflowers that covered the road edges which, at times, look like snowdrifts. Lazy me took some photos from the driver's seat whilst she stepped out to inspect the flowers and snap some with her phone. Then I took this pic. 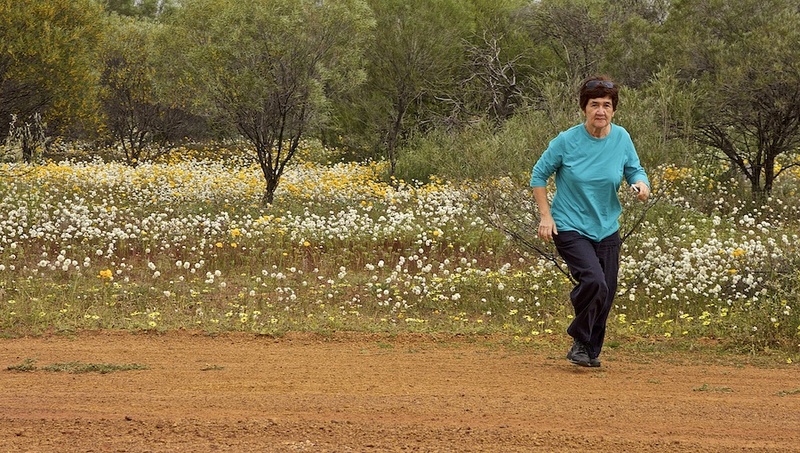 When we looked at the photos later on at home, Grandma C had no idea why she ran. So I decided to give her some reasons to run. This one, from the movies. And I've just got to show you these wildflowers we came across in the middle of nowhere. A bit of ozzie humour, made out of beer cans and bottle caps. Hi TK. Red t-shirt to encourage the bulls! Looking forward to the coming Hozziewood blockbuster starring Grandma C and directed by Grandpa A.
I like "Hozziewood", Prof. It'll be a blockbuster for geriatrics. Grandma will be pleased to hear that. Oh my! Grandma in the Spanish bull run, wearing red some more! That's hilarious! 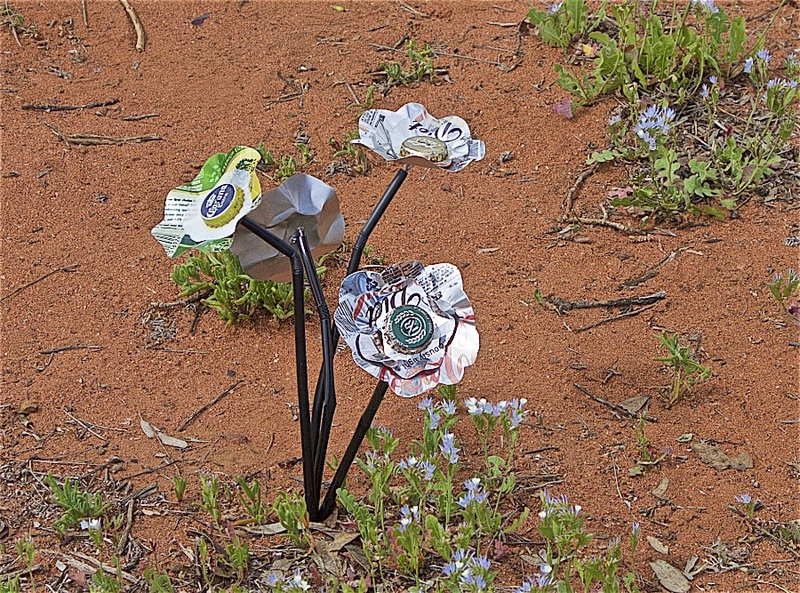 Lovely white flowers...the natural ones, not those made from recycled beer cans. 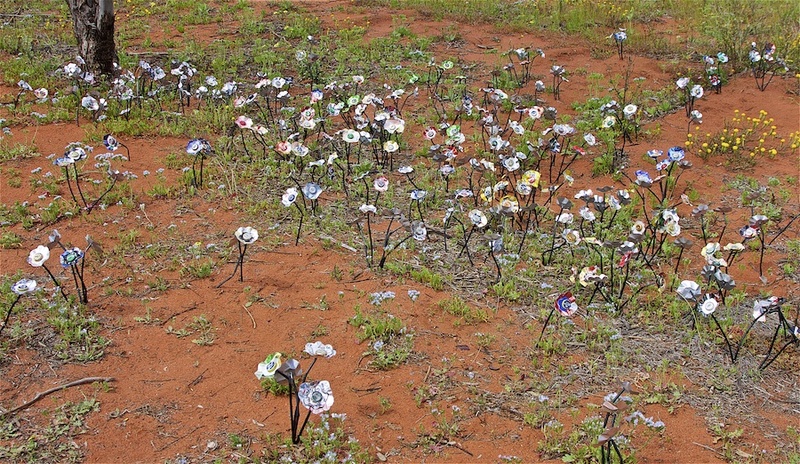 I wouldn't mind stopping to admire and pick if they had been made from currency notes. LOL!!! 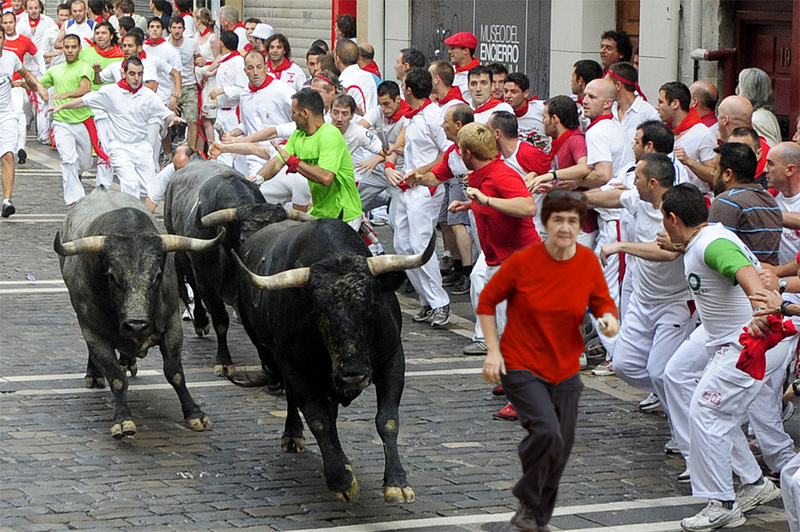 Grandma had a shock when she saw the bull run!